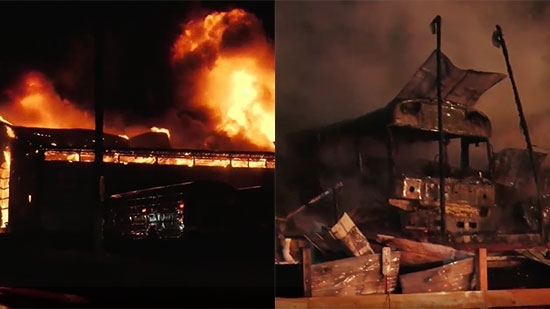 Classes were canceled on Friday after a fire broke out in the bus depot for Parkland School District in the Lehigh Valley. It happened around 3 a.m. in the bus garage off of Stadium Road in Oreland, PA near the Oreland Middle School. The entire building was engulfed in flames. Parkland School District Superintendent Rich Sniscak says that 16 buses were destroyed and 14 were damaged. The 30 buses represent about a fifth of the district's fleet. They hope to have classes open on Monday. No one was injured. The cause of the fire remains under investigation. See video below. A brawl brought out at a Delaware high school basketball game on Thursday and it was caught on camera (see video below). It happened at Milford Senior High School during a game between Smyrna and Cape Henlopen high schools. The brief video shows players, coaches, referees, police officers, and fans involved. The fight started in the fourth quarter and prompted Milford police to cancel the rest of the contest. Police are investigating what instigated the melee. Two men have been arrested for a series of thefts at area Walmart stores. 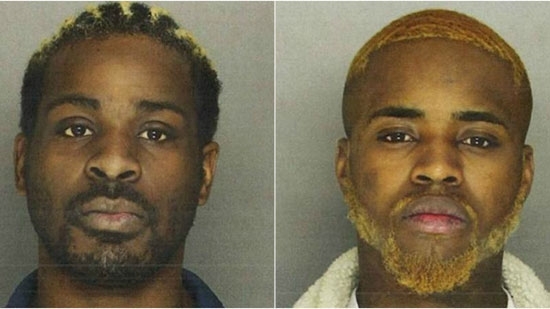 28-year-old Jon Beverly, of Philadelphia, and 26-year-old Maurkeece Foreman, of Potttstown are accused of armed robberies and thefts at stores in Montgomery, Bucks, Carbon, Cumberland, Dauphin, Lancaster and Luzerne Counties between July 2017 and January 2018. Authorities say they stole more than $52,000 worth of iPhones, laptops, and other electronics. They are charged with 40 felony counts including Robbery with Threat of Serious Bodily Injury, Criminal Conspiracy to Commit Robbery, Criminal Conspiracy to Commit Retail Theft, Retail Theft, Theft by Unlawful Taking, Theft by Receiving Stolen Property and Organized Retail Theft. They are also charged with misdemeanor counts of Possessing Instruments of Crime, Simple Assault and Simple Assault with Serious Bodily Injury. They are in jail in lieu of $250,000 bail each. See photo below.